Everyone was saddened when the news broke that the Factory shop was closing. A venerable institution, the factory shop had clothed, entertained, provided many gifts and placed the shoes on a whole generation of Holsworthy’s youth. If you had brought a 3 year old Disney DVD in the last few years, the chances are you brought it at the Factory shop. However, over Christmas the only place to buy your Smith and Jones jeans shut down. Leaving many people to wonder where exactly they were going to buy their buckets of fat balls for the birds to ( hint: we have a very nice independent pet food shop in town). There was literally days of speculation on local facebook groups as to what might take over. It was suggested (hoped) that ‘Hooters’ may take over. Other names like ‘Spearmint rhino’ ‘William Hill’ ‘McDonalds’ and ‘Cash converters’ were all bandied about, but ultimately the town Elders decided that the town needed a completely different business to take over. A business that would be the complete opposite of the Factory shop. After minutes of consultation the elders invited in a new shop. So we here at the Holsworthy Mafia are delighted to announce that a new shop called the ‘Original Poundland Factory Bargain buy 99p shop shop‘ will be opening it’s doors tomorrow. This new venture will be completely different to the factory shop. To start with they will be stocking items that are ‘similar’ (but not the same) as previous factory shop stock. They have also changed the signage from blue and white to blue and yellow. The staff will also be wearing slightly different outfits, so as not to confuse you. To celebrate the opening of the ‘Original Poundland Factory Bargain buy 99p cost cutters shop shop’ they are having a number of super fantastic promotions to entice all the factory shop customers back to this new and completely different shop. The 1st one hundred customers will get a free charity shop with any purchase over £999,999. 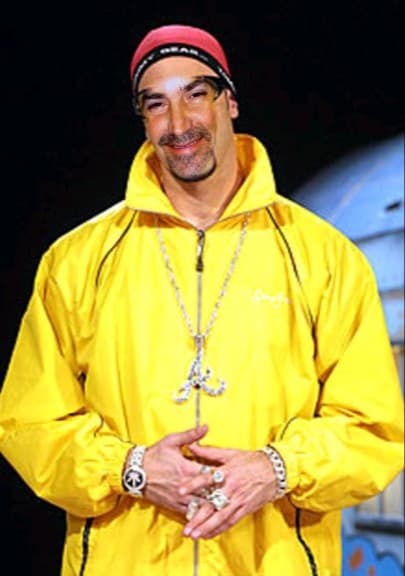 To Open this new and exciting venture the ‘Original Poundland Factory Bargain Buy 99p cost cutters homeware shop shop’ the owners have asked Holsworthy town Mayor and the worlds number 1 ‘Ali G’ impersonator ‘Jonny H’ to come and open it. The Holsworthy Mafia will not be updating this article as we are camping out tonight in front of the ‘Original Poundland Factory Bargain buy 99p cost cutters Homeware stretch that pound shop shop’ to make sure we are first in line.